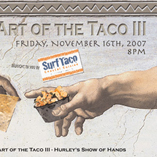 click each thumbnail image above to see the full art show poster for each of the past Art of the Taco events. 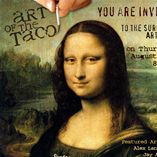 The "Art of the Taco" series are grassroots art shows featuring local and emerging artists from the NJ Shore and beyond. 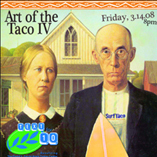 The shows are featured at SurfTaco in Belmar's hip "ST Gallery". 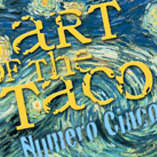 The Taco converted a large space into an active & spacious gallery & party room. It has been well utilized. We have used the gallery to promote some truly gifted artists, that folks otherwise may not have known about and enjoyed. 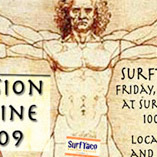 We have helped to raise funds and awareness for brain tumors and Superstorm Sandy relief during our events. 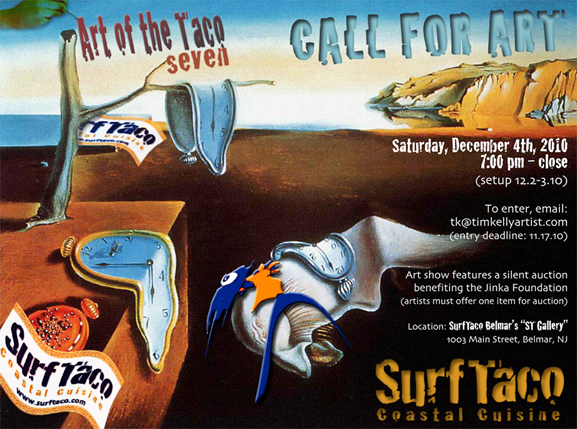 Special thanks to Rob Nagel (ST owner) for caring about art and allowing us to throw the art shows. Also thanks to Chris Quinlivan (GM) for helping to make it happen. I curate & promote the series.